This is the oldest newborn I've had in a while...6 weeks old [FYI: newborn sessions should be scheduled when baby is less than 10 days old.] I know mom was thinking that I didn't get any shots of Miss Addison by the time I left because Miss Addison just didn't want to sleep a real long time once she got in front of the camera. 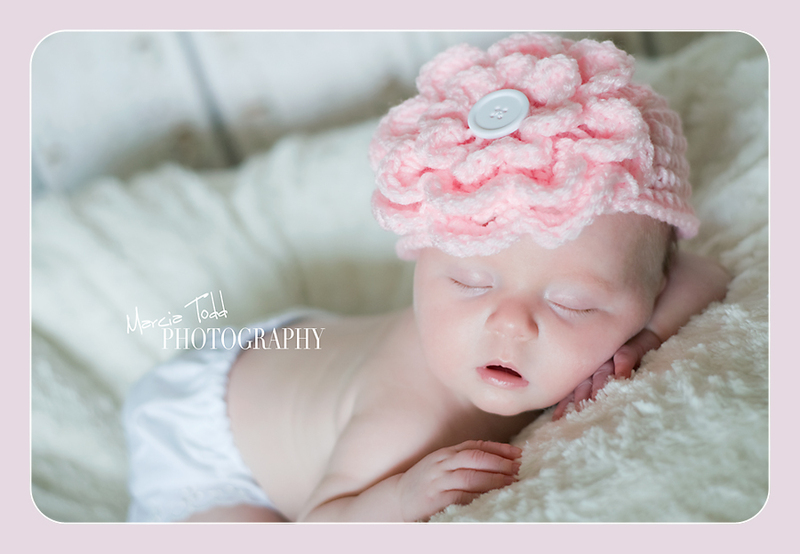 So I hope this little preview reassures mom that the shoot went just fine - Addison is a doll! Confession: I've become a prop junkie. Seriously, you should see the stuff I bring to a session with me (giggle). This adorable hat was made by a very good friend of mine. Thanks Kay! Got these little rabbit ears before Easter in hopes that I would have somebunny to wear it. Oh well, it's still so stinking cute no matter what month it is! 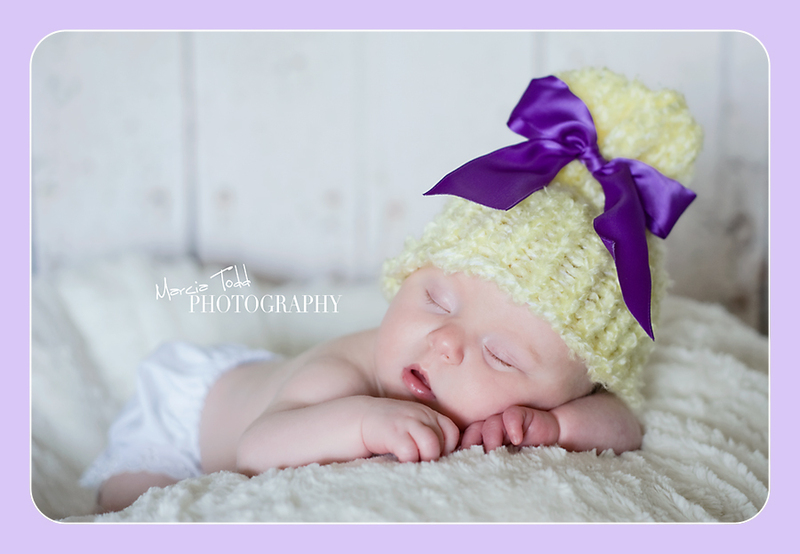 And this little yellow cupcake hat was just something I whipped up before I went to bed last night.